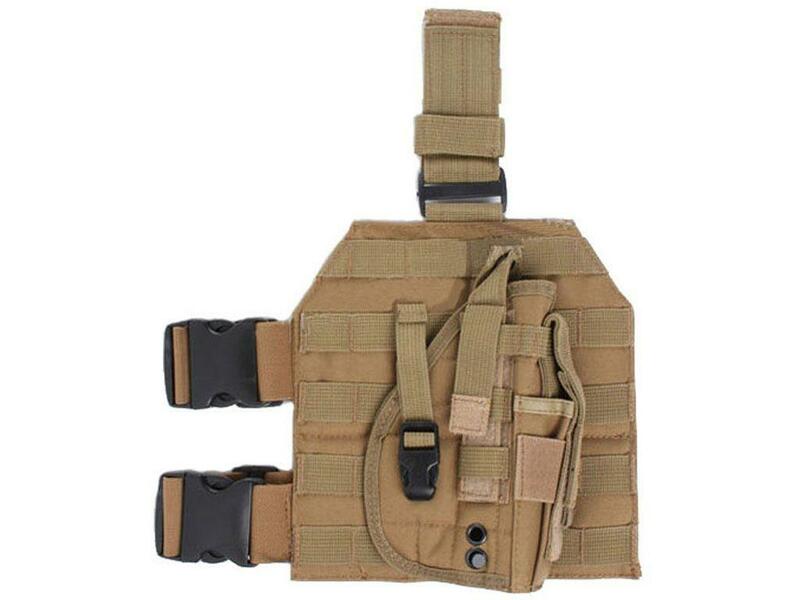 Tactical Pistol Leg Holster | ReplicaAirguns.ca | New Website! 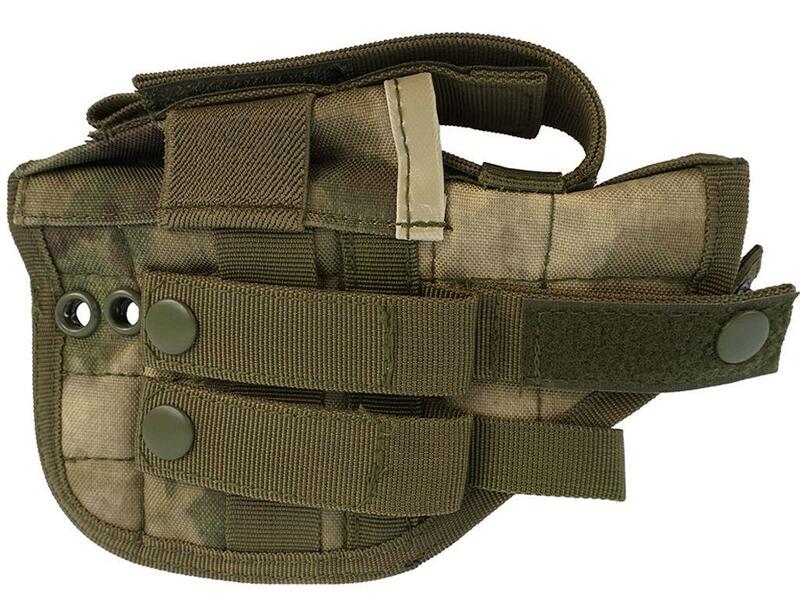 Comments: Access your gun at a moment’s notice with the Tactical Pistol Leg Holster. 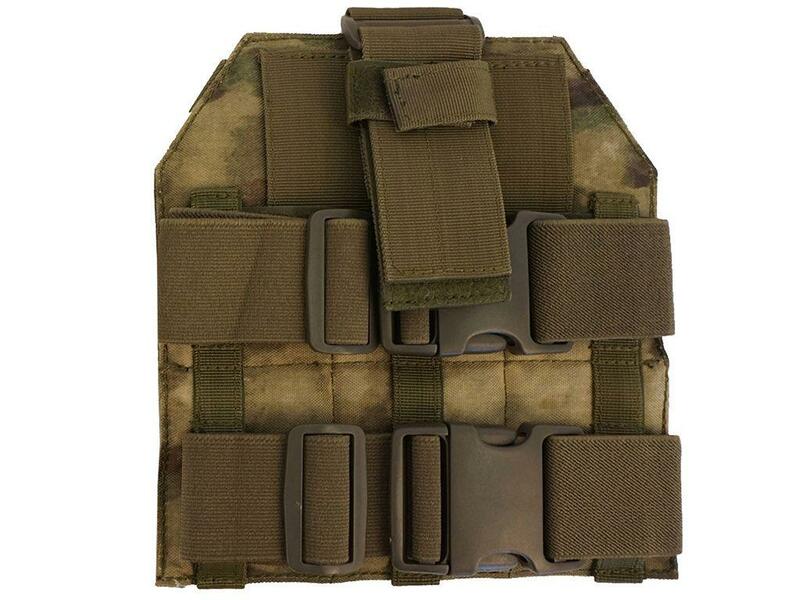 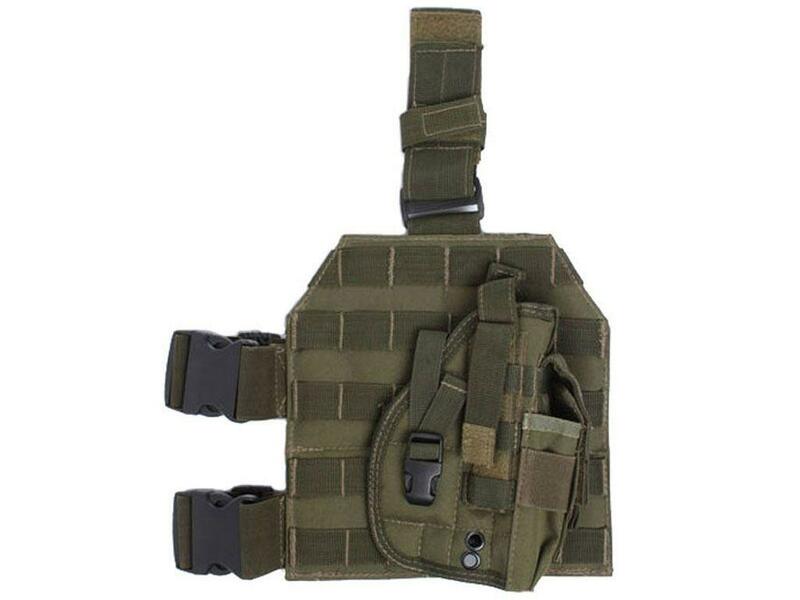 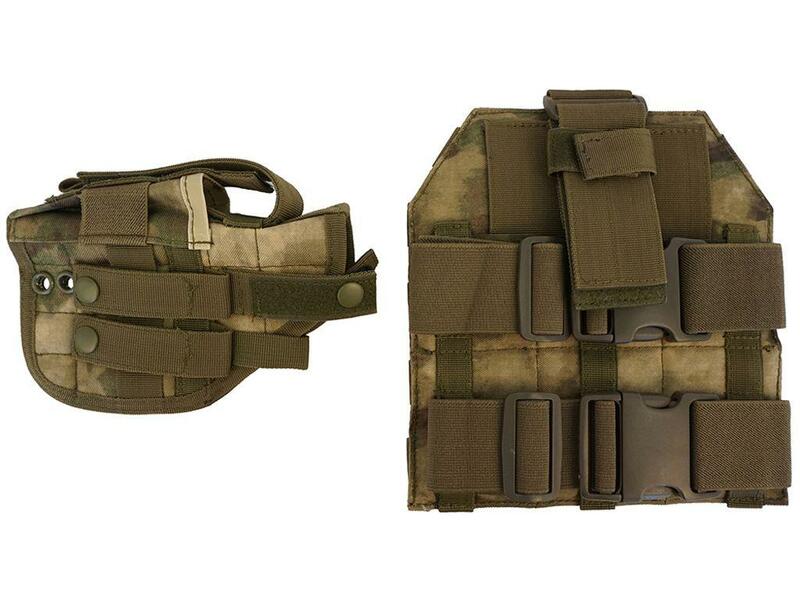 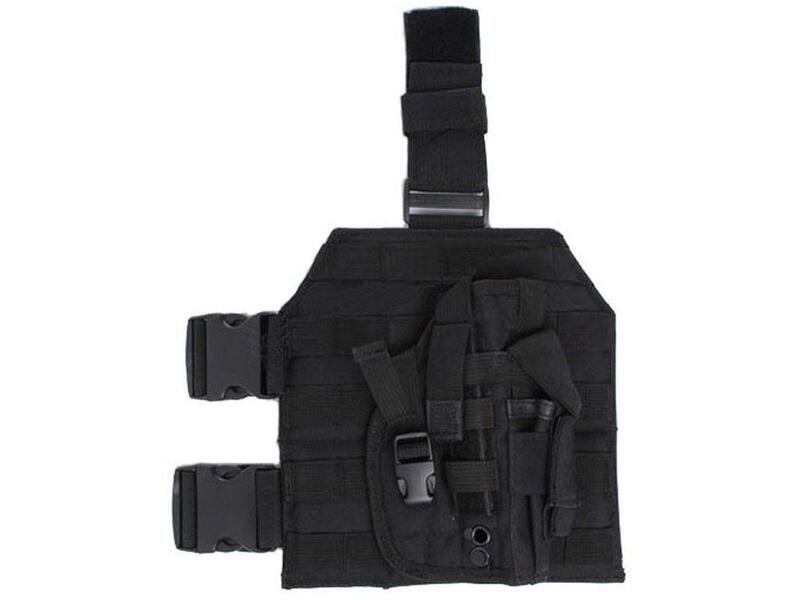 This adjustable holster fits comfortably and attaches to MOLLE packs, vests, and belts when not in use. 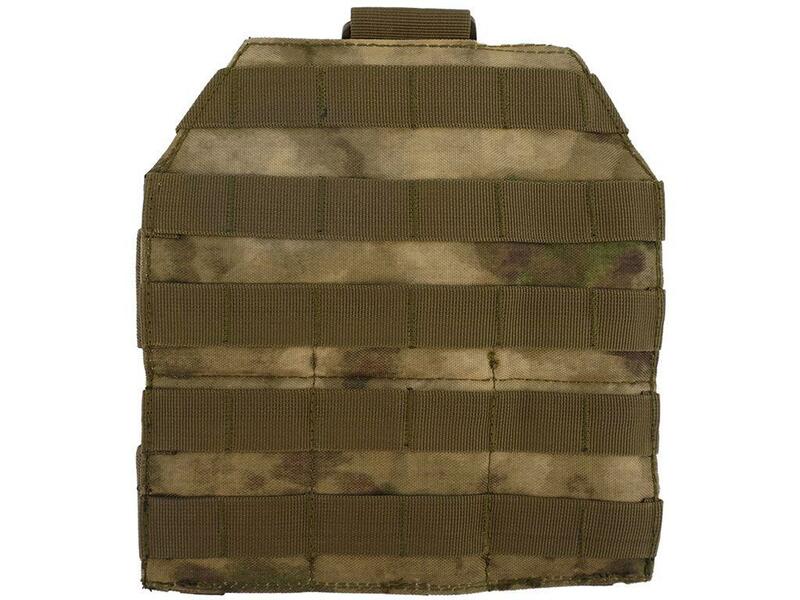 The FG Camo print is ideal for shooting in forest and green environments.